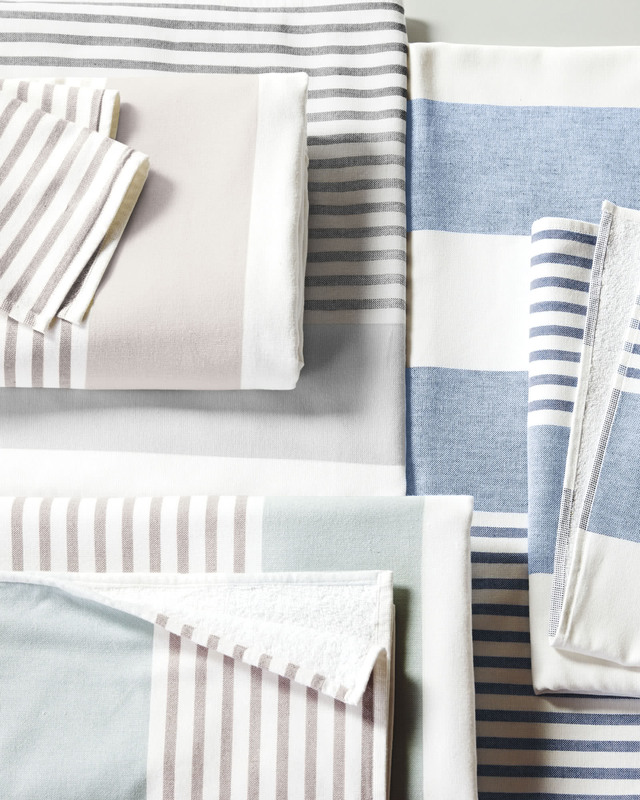 Fouta Bath CollectionFouta Bath Collection, alt="Fouta Bath Collection, "
Print Just like the fine Turkish towels that inspired them, ours have smooth cotton on one side and looped cotton terry on the other for added wicking. 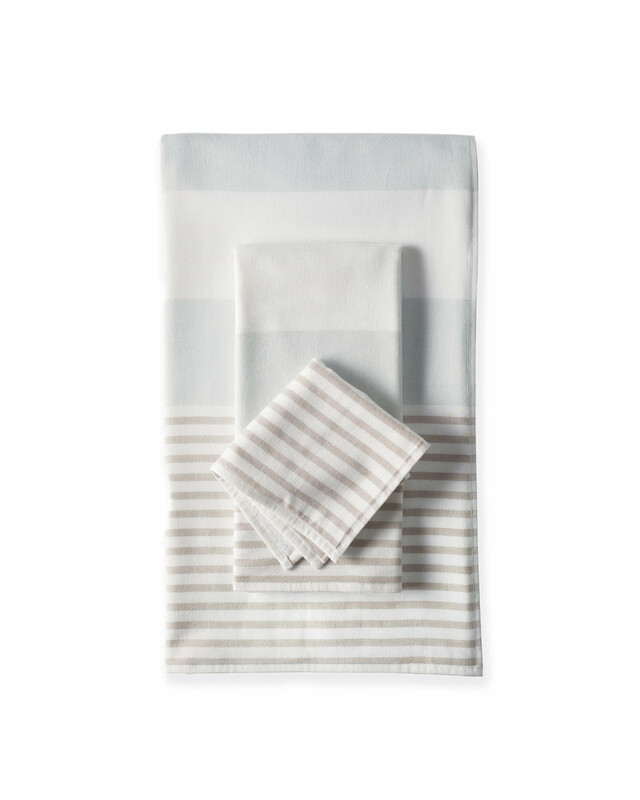 A combination of wide stripes and narrow stripes add a kick of color against bright white. 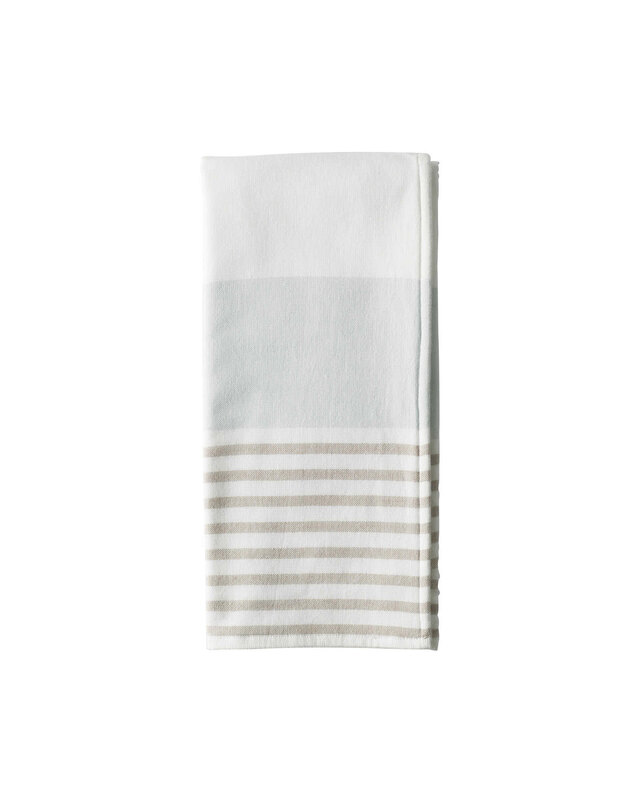 Bath Towel: 30 x 55". 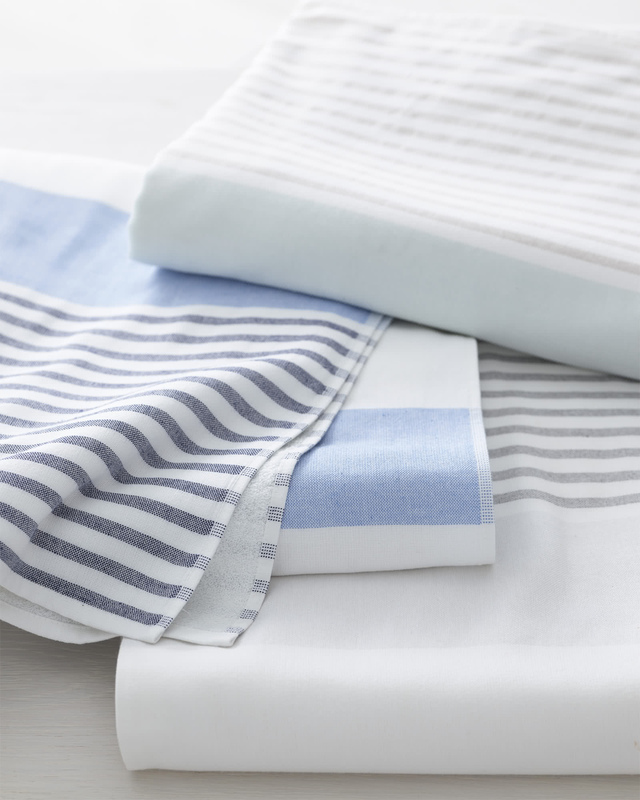 Bath Sheet: 39 x 71".